Give your cards and crafts a creative touch with this fun 6x6 pad! 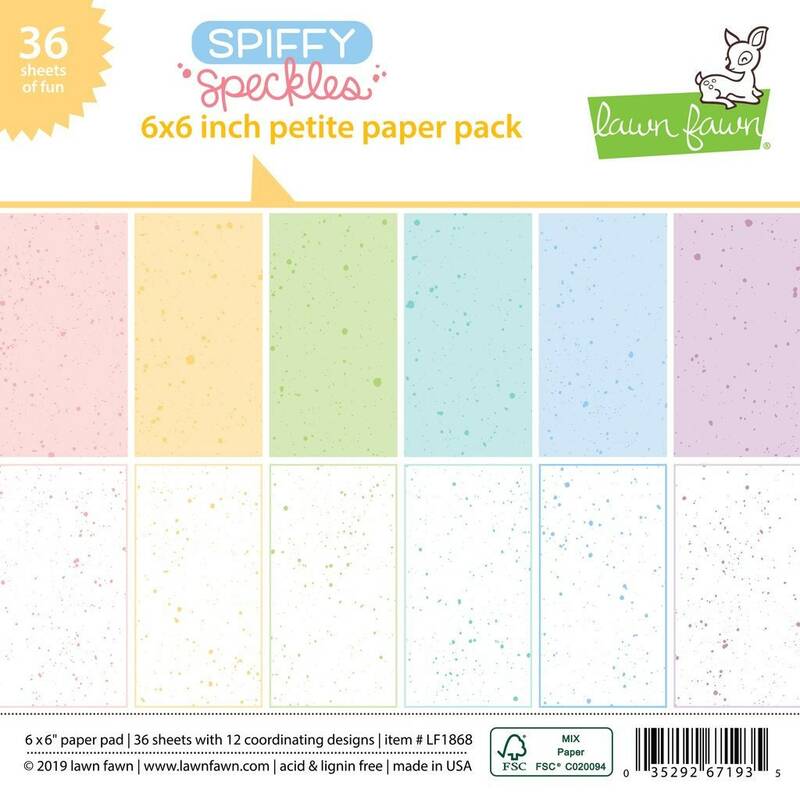 The Petite Paper Pack contains 36 sheets and features 12 coordinating patterns from the Spiffy Speckles collection. Spiffy Speckles is a collection of speckled patterns in soft springtime colors. This collection is a great backdrop for your cards and scrapbook layouts.